Everyone is getting tattoos nowadays. They are not taboo anymore. Even older people are getting inked. Usually, when someone gets a tattoo, they want to remember something. And seeing as tattoos are a lifelong commitment, one would think that the customers would have not only double-checked their designs but triple-checked them. No one wants to be walking on the street and know that people are laughing at you because your tattoo is stupid or wrong. 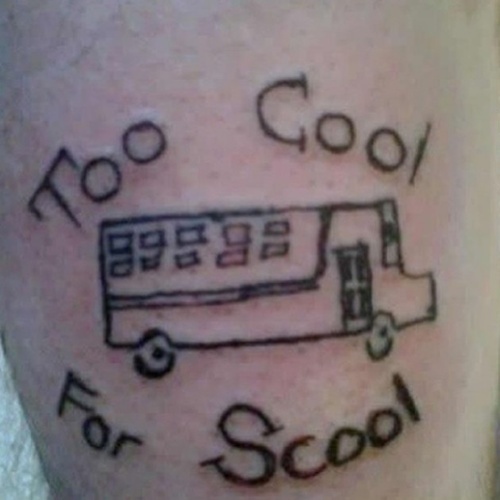 However, there are some people who didn’t bother to do their homework before getting a tattoo. 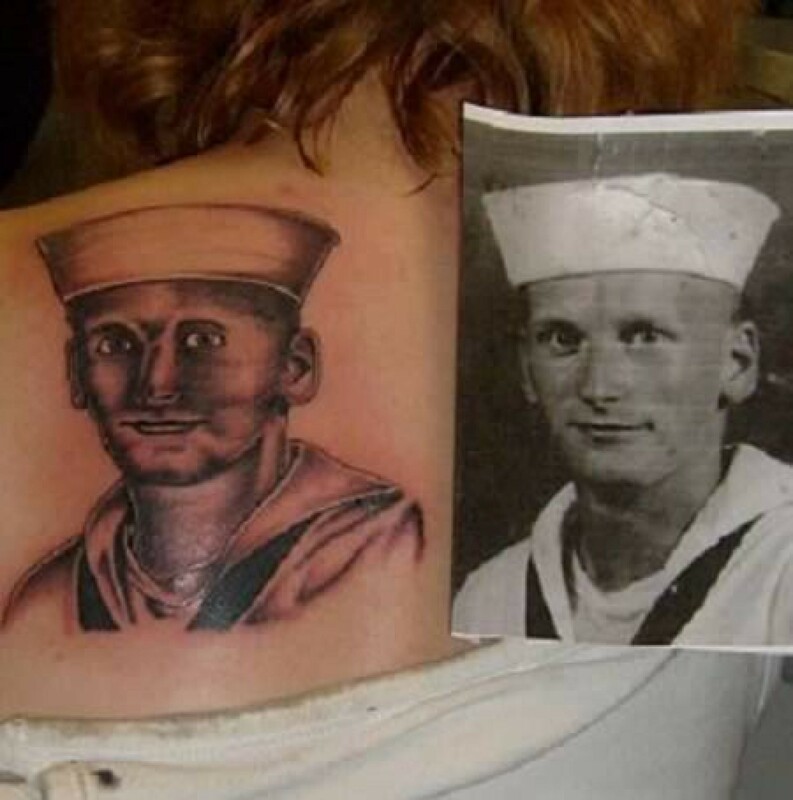 So, here are 50 of the funniest tattoo fails. Maybe this guy is a perpetual quitter. If that is the case, then this tattoo is perfect for him. 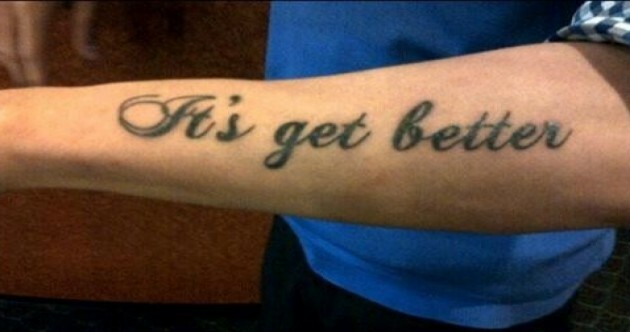 If, not, however, well… He will have to give up on having a tattoo that makes sense. Are you trying really hard right now to believe that, if you believe, your tattoo will start to make sense? Because, if not, you are looking at a lifetime of people laughing at your tattoo. We know you love Michael Jackson. He was an icon to his generation. I get why you would want to immortalize your love for him. But that phrase was not the best to choose. This woman is going to have to be stronger than she thinks. How many people do you think have laughed at her tattoo while standing behind her in line somewhere? Here we have someone else who doesn’t know how to spell “believe.” It is not really all that hard to use a spell checker. Or even asking your tattoo artist is that is OK. Of course, if he doesn’t know either, you have a problem. Oh, this poor guy. It seems spelling and grammar are the number 1 enemies of tattoos everywhere. Let me give you some advice. Do you have a phrase you want to tattoo yourself with? Google it first. Glaring mistakes will pop right up. Here we have another grammar mistake. I know everyone insists on learning the difference between IT, ITS and IT’S. I do too. In this case, it is pretty obvious which is the right one to use. Right? What is that thing tattooed on this girl’s face? Is it a monocle? An eye patch? 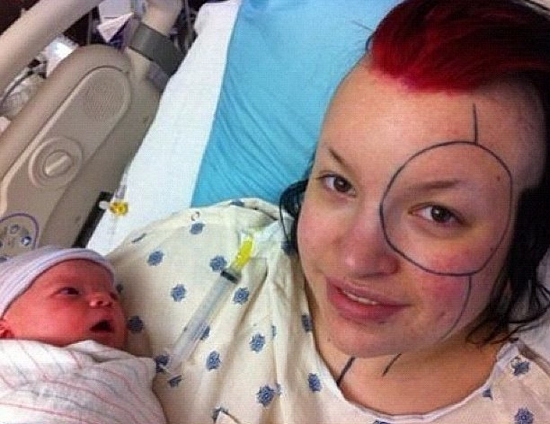 Look, even her newborn is horrified by what is tattooed on their mother’s face. What is that supposed to be? Can anyone help? Is it supposed to be a dinosaur? Maybe. 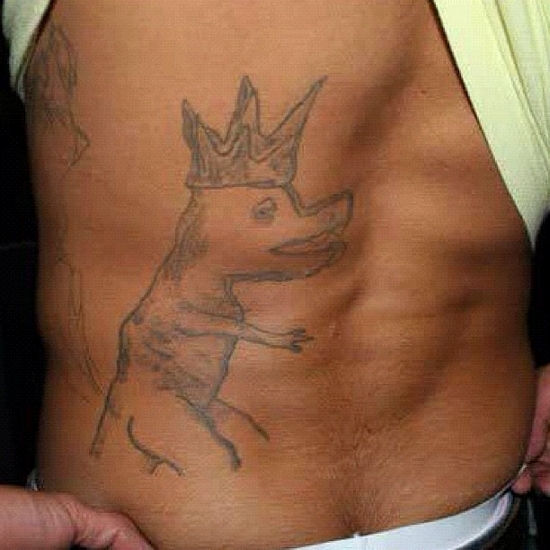 What I am almost sure about is that this guy must have been drunk when he got this tattoo. Who doesn’t want to get a tattoo of their favorite team? Be it football, baseball, basketball or soccer, everyone has a favorite. 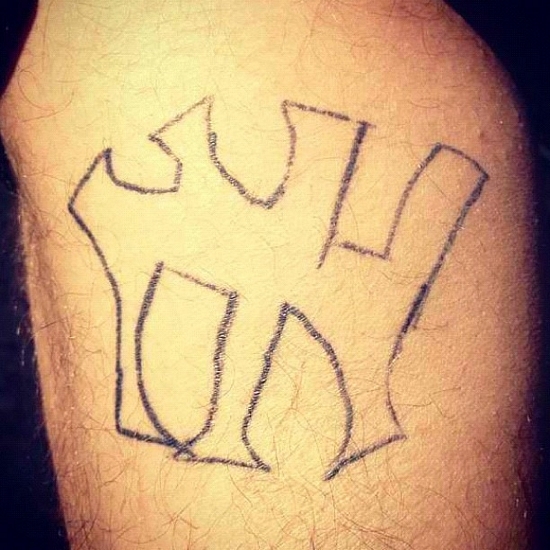 I think maybe this guy should have made sure the tattoo artist wasn’t a fan of a rival team first. I don’t think this girl was trying to tell the world that she is the queen of Prome, Burma. Do you? Besides, is being prom queen her highest achievement? That makes me a little sad. 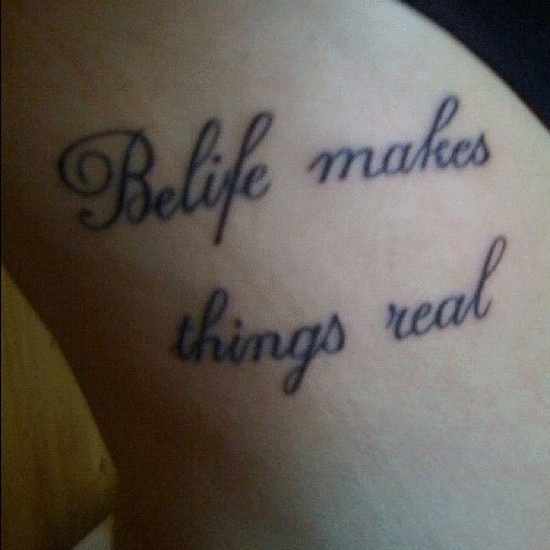 It is going to take a lot of strength and courage to go through life with that glaring spelling mistake on your body. I would start looking for a cover-up. Just make sure the next one is right. Here is another example of the pitfalls of grammar. Just like with its and it’s before, here we have the grammatical conundrum that is YOU, YOUR and YOU’RE. Another cover-up coming right up! This one just makes me laugh. 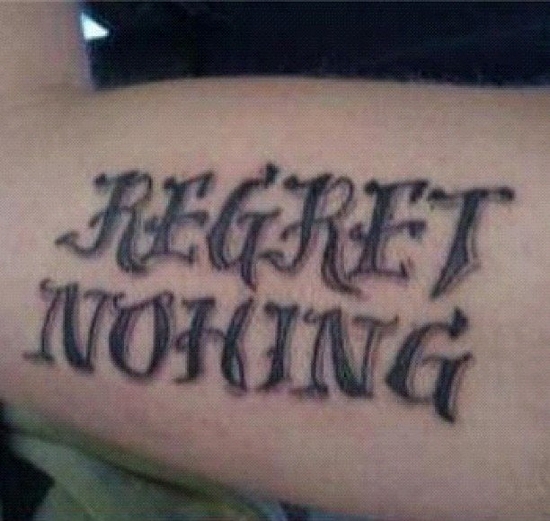 I would get it if the word you wanted to be inked had less than the 8 letters needed to cover those 8 fingers. But fearless has exactly 8 letters. Come on! You are right, you do only live once. That is why having a tattoo that makes utterly no sense is so depressing. Was there no one that could have saved him this unnecessary trouble? 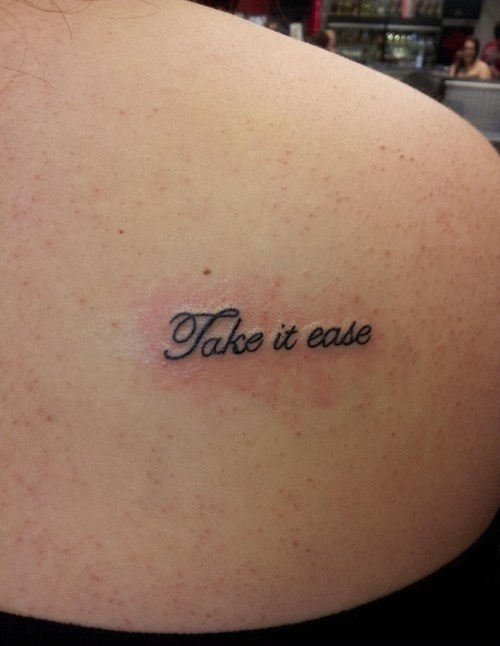 I think this person was troubled about whether to get a tattoo that read “take it with ease” or one that said to “take it easy.” So they compromised and merged the two. Of course, it is utterly wrong, but at least they are at peace. You are an anarchist. We get it. You want the world to see how you feel. I can support that. What I can’t support is you getting that ugly as f*ck tattoo. This one is kind of funny. It got a chuckle out of me. 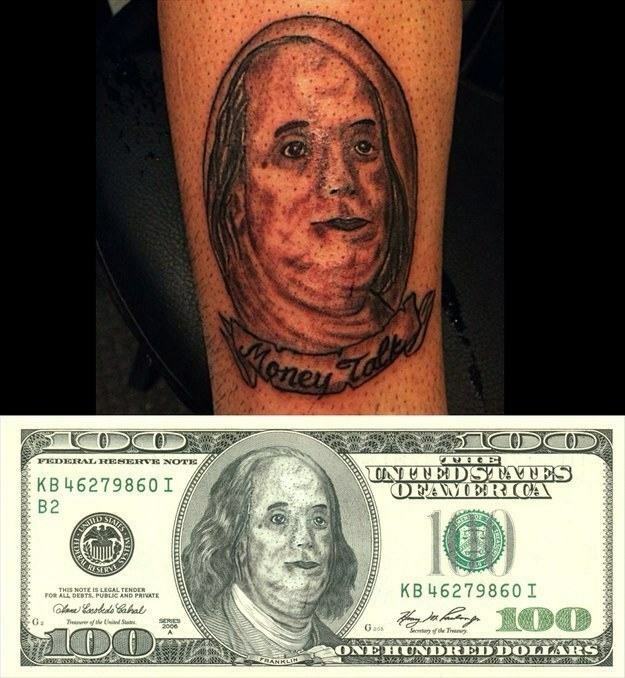 But I still think it is a tattoo fail. Jurassic Park is an awesome movie. I would have been completely for a tattoo of the movie’s logo. This one, not so much. 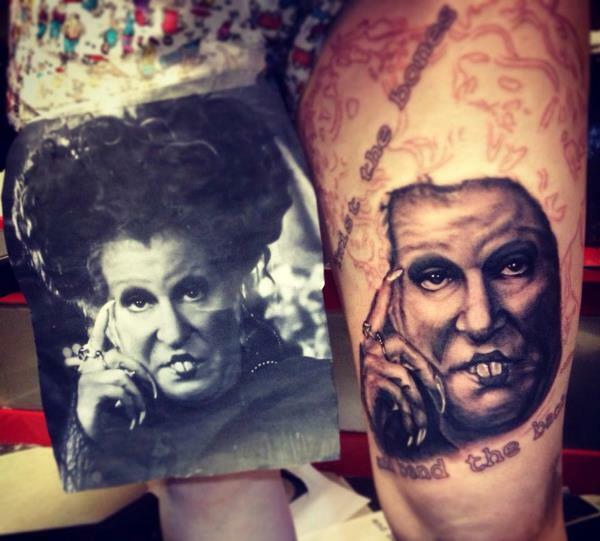 When this woman took that picture to her tattoo artist, I’m sure she wanted a perfect replica of it to be made into her tattoo. I don’t think she wanted a 10-year-old to draw it instead. Oh, you poor thing, you! I get it, you wanted a tattoo of a compass to guide you in life. Maybe she should have at least checked that the four cardinal points were in the right places. Yes, you are a fan of the TEENAGE MUTANT NINJA TURTLES. We all know it. But was it really necessary to tattoo Krang in your stomach? As if that wasn’t bad enough, people are feeding it. Yeah, Hocus Pocus is a cool movie. I liked it too. 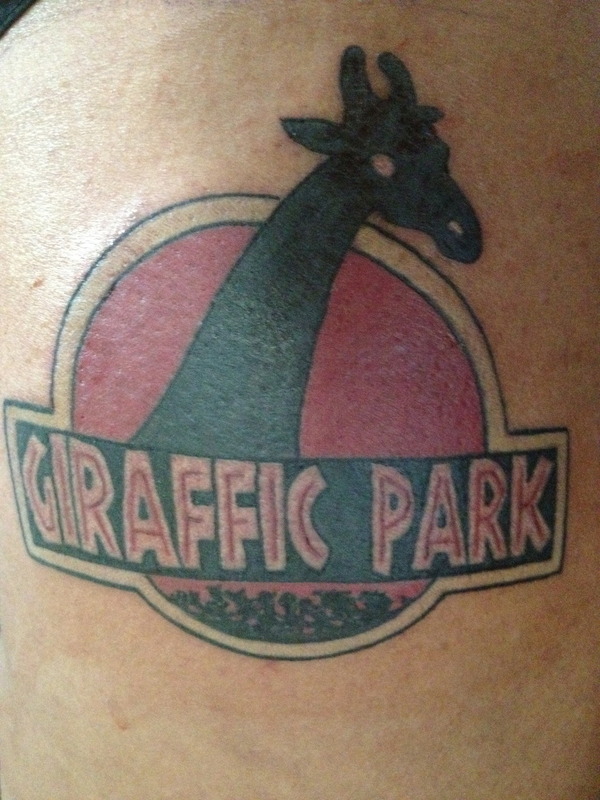 However, I don’t think anyone has ever liked that movie so much they wanted to get a tattoo about it. Especially not of Bette Midler’s Winifred Sanderson. Just this guy. thewondrous Oh, the irony! It just kills me, you know? If only he had gone to school, he would have learned how to spell school correctly. Only then, he would have actually been too cool for school. We get it. The two of you love to spend time together listening to music with your headphones. But couldn’t you have chosen a good design for your tattoo? Not only do the headphones look like actual phones, the phrase is also super hard to read. This one makes me sad. 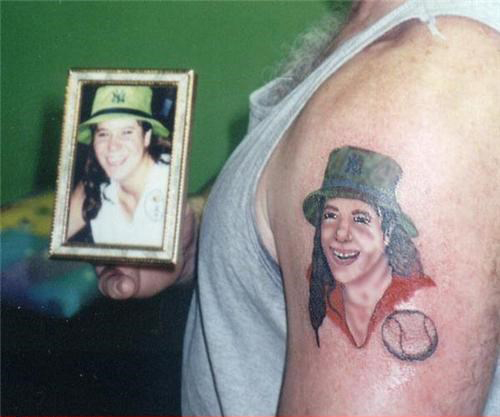 Usually, when someone wants to get a portrait tattoo, it is to remember someone who has passed away. That is why it makes me sad this artist completely botched the image. This one is actually kind of creepy. Not only does it look half finished, the cookie monster is cannibalizing himself. Who would do such a thing to a beloved childhood character? I kind of feel sorry for this guy. 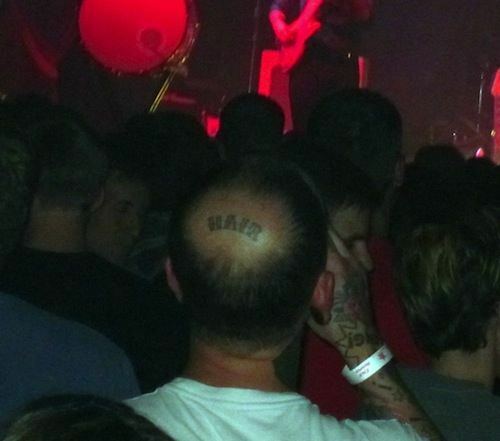 You are balding. It happens to a lot of men. Just embrace it. When people try to fight the inevitable, they end up like this guy. I don’t know about you, but I cringe every time I see this picture. 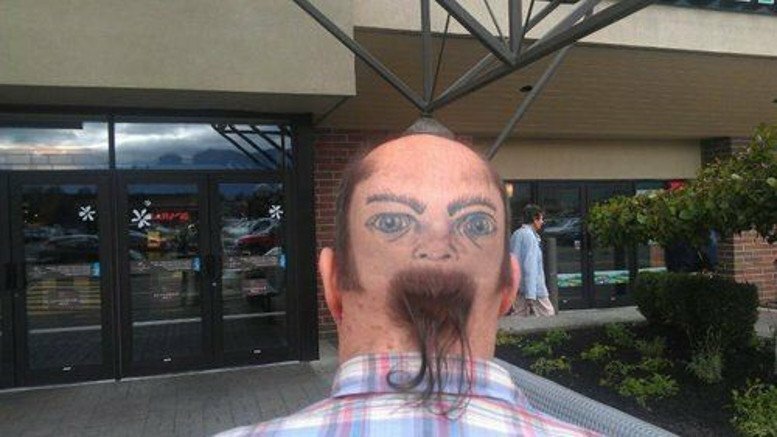 I don’t know if this guy is trying to fight his impending baldness like the one before, or if he actually thinks this is funny. You love Italy. That is the only thing I get with this tattoo.The rest is just an utter failure. It looks like the artist didn’t even use a stencil. He just tattooed freehand and added details willy-nilly. Just, no. Don’t strain yourself. I can tell you what it says. 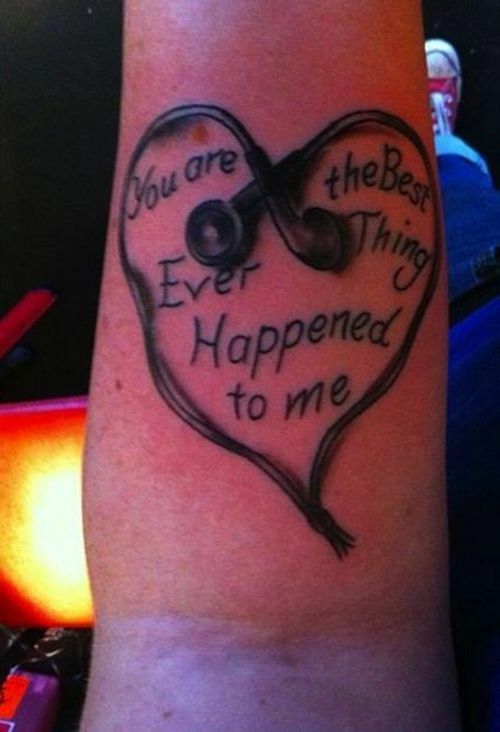 It says “something greater.” What I don’t get is how no one noticed how wrong this tattoo actually is. If he wanted to imitate an Asian language, then he should have just translated it. Yes, Star Wars is a classic. There are hundreds of people walking around with a Star Wars tattoo on their bodies. I just don’t think that there are Star Wars tattoos out there that are worse than this one. Here we have a Star Wars tattoo that is better than the one before. It’s still not good, or it wouldn’t be on this list. But the design is a tad better. I only wish it read YOU’RE my only hope. I know that the original picture is not awesome. The baby looks kind of freaky. 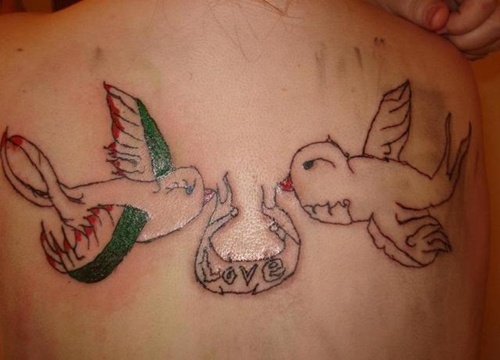 However, the tattoo this proud parent got just makes it worse. It went from being kind of freaky to an outright monster baby. This one actually a great tattoo. It has a good design. The shading is spot on. And it has cool details. There is just one small detail. That is not actually Bob Marley. It’s Jimi Hendrix. Not actually that small a detail, right? I am hopeful that this one is not actually wrong. Maybe this person broke a lot of deer, or harts as they were called in old English. I’m reaching, right? What a nice way to honor your ancestors. 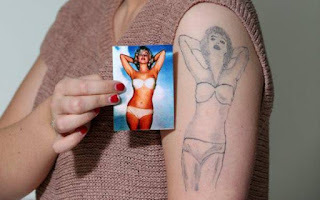 I’m sure she was excited when she went to the tattoo studio to immortalize the memory of whoever is in this picture. She must have been in tears when she left. I just don’t think they were tears of joy. Well, duh? I don’t think there is anyone out there who doesn’t know what an arm looks like. Do you? 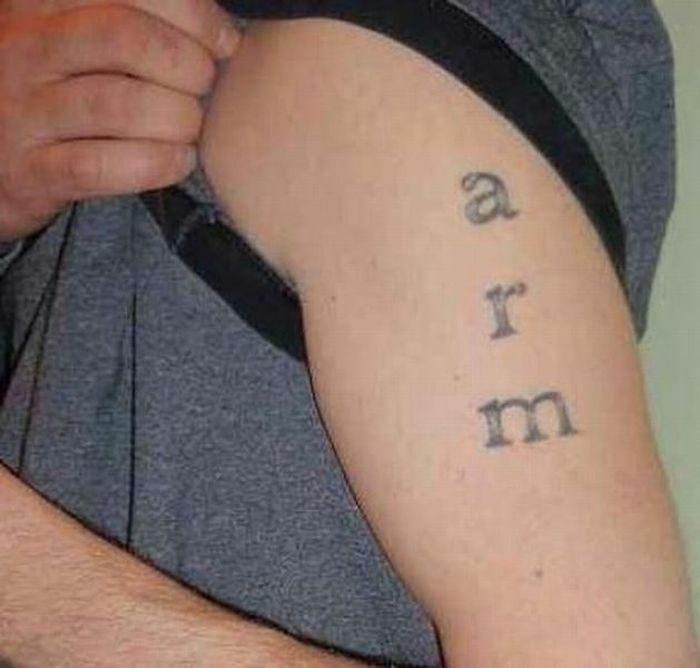 So, if not to educate people on what an arm is, what is the purpose of this tattoo? This guy lost a bet, right? And he was just too proud to renege on it, right? That is the only explanation I can find to justify doing this to one’s own face. You love Queen. I love Queen. Everyone loves Queen. We all know that Freddie Mercury was one of the most influential musicians of the 20th century. He doesn’t deserve this. Why would someone do this? Really, I want to know. If you want to be funny, there are other ways to show how funny you are. Was it really necessary to tattoo yourself with a hamburger? If we deconstruct this tattoo, we just might get to something plausible. Let’s see. “Awefully” could be something full of awe. So, is we take that, we can say that never is a long time to be full of awe. It kind of makes sense, right? Poor Britney. Being the most famous pop singer in the world got to her. She had a nervous breakdown a few years back. 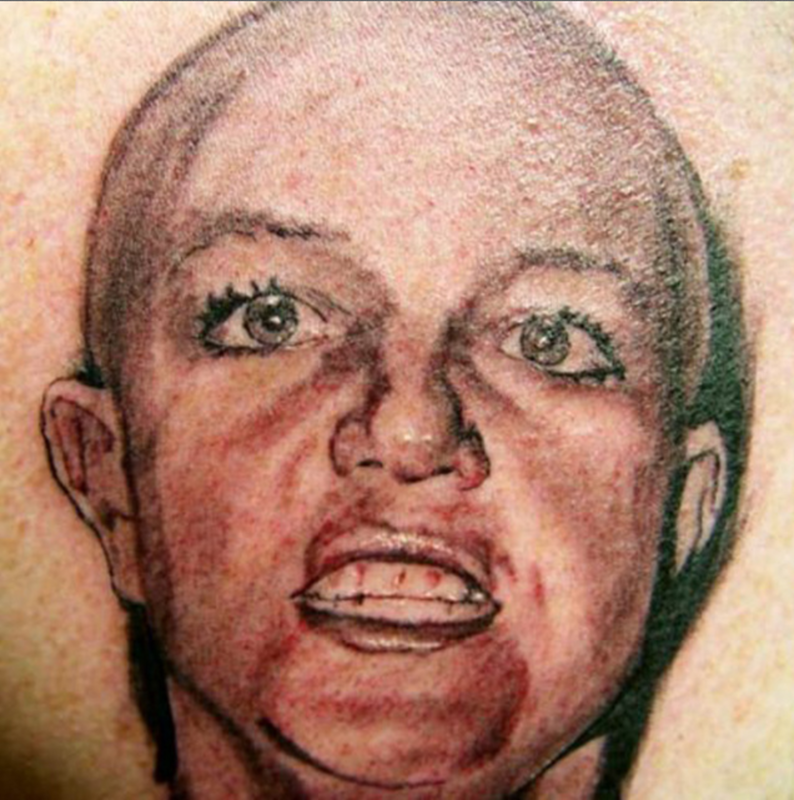 If you really wanted to show your love of Britney Spears, there are a lot of better pictures to use. Come on! You love Jesus. I get it. You want everyone to know you are a Christian. Sure. A lot of people get tattoos related to their faith. However, in this one, Jesus looks drunk. Let’s not judge. Maybe he is trying to thank someone named Mather for his life. Maybe it is Margrethe Mather, one of the best known female photographers of the early 20th century. We all know that brands try to generate loyalty in their customers. If a customer is loyal, he will choose that brand above others when it comes to buying a product. 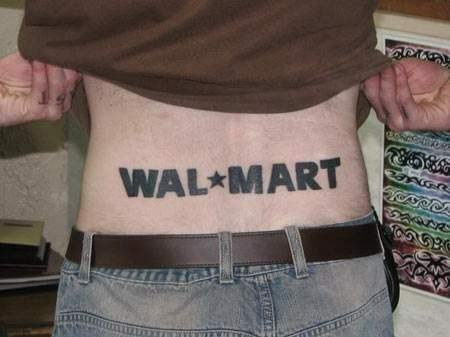 I just don’t think this is what Walmart had in mind when they thought about brand loyalty. I don’t think this is what people mean when they say that money talks. It is not actually the money that is talking, you know? In this case, it is not actually Benjamin Franklin talking. You get that, right? It is always good to have your priorities in order. That way leads to an organized life. Just not in the case of this guy. Because not only are those not rules, they are not correctly spelled either.